Around 86 percent of the Indian students face increased levels stress and anxiety after their 10+2 exam, compared to around 62.5 percent after their 10th exam, says a recent survey by ASSOCHAM. And the reason for that is quite obvious! After 10+2, students are in the throes of deciding a career path for life. Often, the decision-making becomes even more stressful as most parents keep unrealistic expectations from their kids. The ASSOCHAM study further reveals that science students experience higher levels of stress and anxiety than their commerce or arts counterparts. While career choices are limited by your academic performance, there could still be many options to choose from. 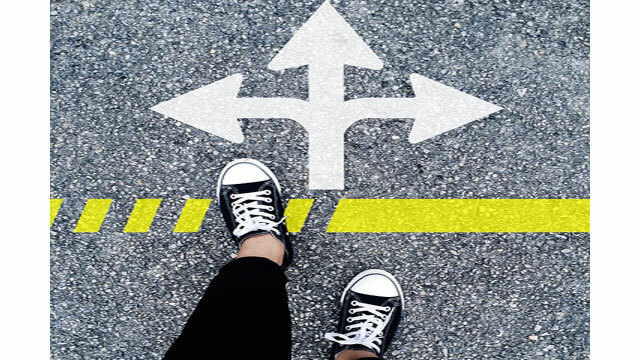 So what career path should you choose? Here are the top options after 12th science. Engineering happens to be one of the most preferred career choices among students from the science background. You need to secure high marks in the engineering entrance examination for getting admission into your preferred engineering college. You can choose from a range of streams, such as, computer science, mechanical, electronics and telecommunication, electrical, civil and information technology. There are also some lesser-known streams, such as, biomedical engineering, nanotechnology engineering and aerospace engineering. Medical science is another rewarding career option for students who studied biology, physics and chemistry at the 10+2 level. An MBBS degree is your ticket to becoming a doctor and many other career opportunities. However, you must have high grades in your 10+2 exam and clear a national-level medical entrance test to be able to study medicine. Apart from the MBBS, other courses for a medical career include Bachelor of Ayurveda Medicine and Surgery (BHMS), Bachelor of Unani Medicine and Surgery (BUMS), Bachelor of Dental Surgery (BDS) and the nursing courses. Management studies and business administration courses are available for both science and commerce students. After 10+2, you can enrol in a Bachelor of Business Administration (BBA) course. Once you complete BBA, the next step is to join a Masters of Business Administration (MBA) course. Alternatively, there is the Bachelor of Management Studies course followed by Masters in Management Studies (MMS). Remember, however, that you need to secure a high rank the entrance test, if you want to get admission into your preferred management college. Also, it is always a good idea to pursue your management studies from a metropolitan city versus a smaller town. The former will definitely offer you more job opportunities after you complete the course. If you are interested in architecture, consider joining the Bachelor of Architecture, which is a five-year course after 12th. Candidates for the course are mostly selected through national-level entrance examinations, such as, BITSAT, UPSEE, IIT-JEE and GATE. Some state level entrance tests are also conducted. In order to qualify for the B Arch entrance examination, you should have at least 60 percent marks in Physics, Chemistry and Mathematics in your 12th examination. If you are the adventurous type, a career in the Indian Merchant Navy could be your choice. To enter into this field, consider doing a course in nautical science and marine engineering after 12th science. For instance, you can enrol in the one-year higher national diploma (HND) in nautical science or marine engineering. Another option is to complete a Bachelor of Science course in nautical technology from any acclaimed institute in India. You can also join Bachelor of Technology in naval architecture and shipbuilding. For getting admission into one of the above courses, you should study Physics, Chemistry and Math in your 12th exam. You will also need to clear the All India Merchant Navy Test (AIMNET). Some other rewarding career options after 12th science include veterinary science, pharmacy, agriculture science and biotechnology. Make sure you choose a career that suits your personality. I think in India even now Engineering is the top career to be pursued after 12th Science. Ofcourse, as the market demands are changing, more people are shifting to other more promising fields like Architecture. This is a nice blog sharing the common options for science graduates.